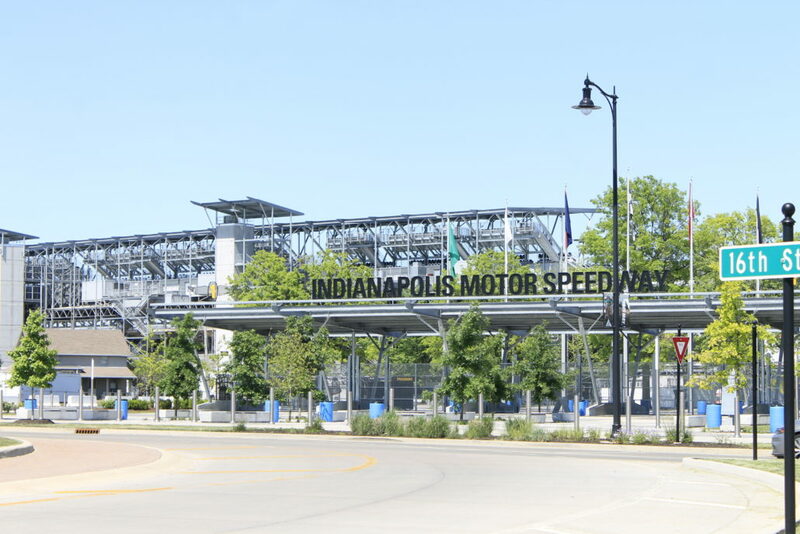 Usually during the month of May in Indiana, people make their way to the world-famous Indianapolis Motor Speedway to enjoy the month’s festivities (including the greatest spectacle in racing). 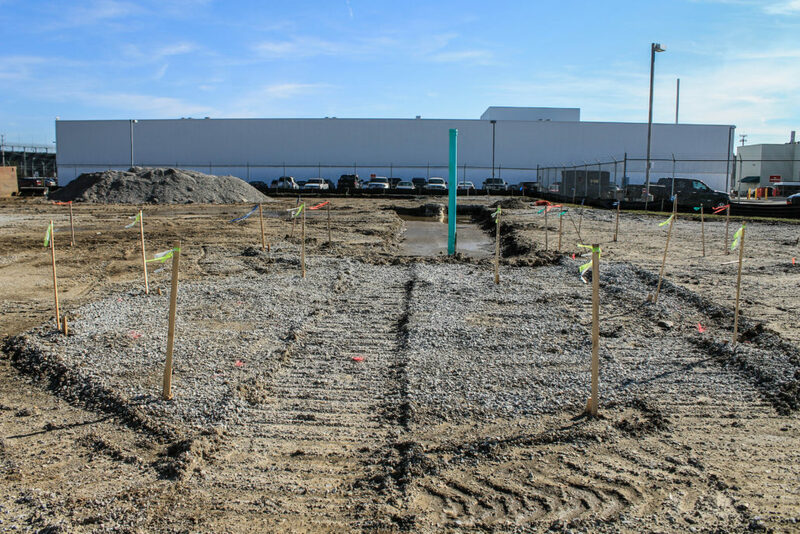 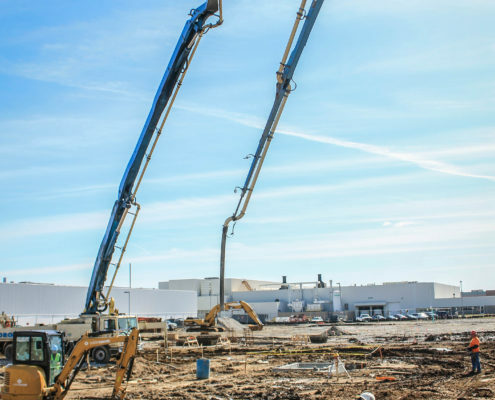 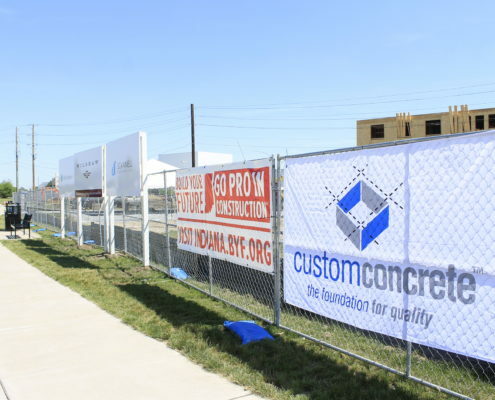 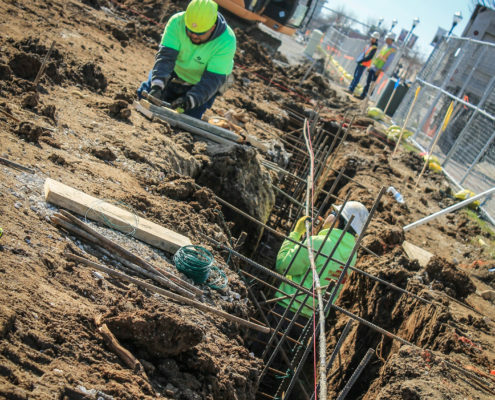 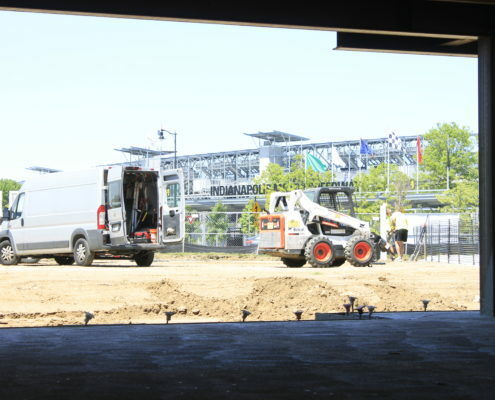 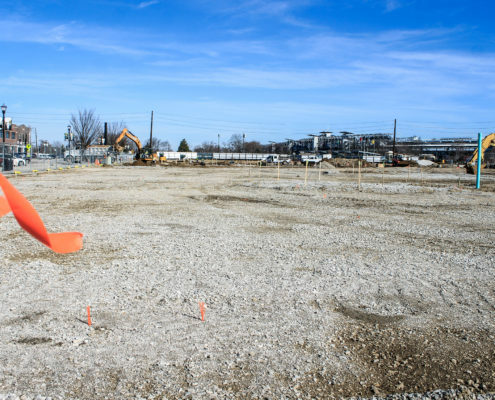 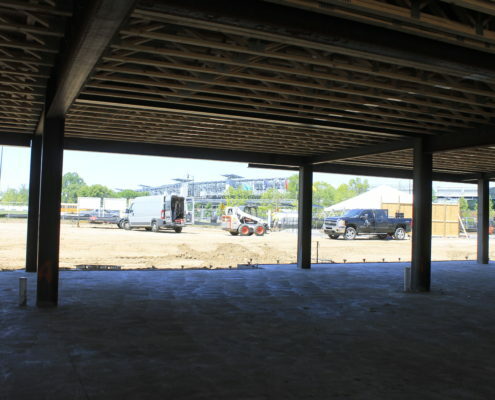 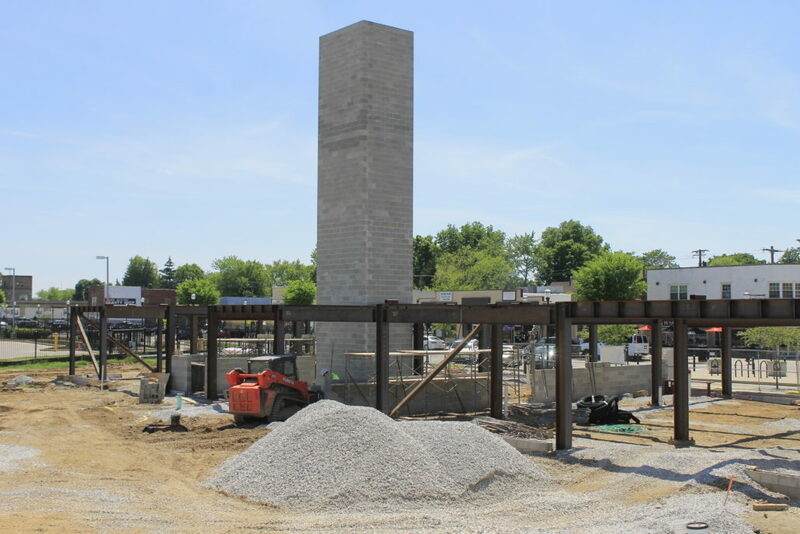 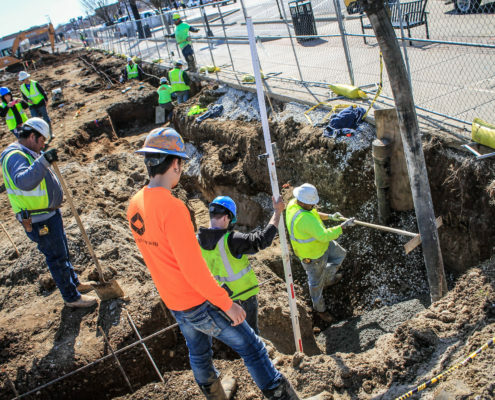 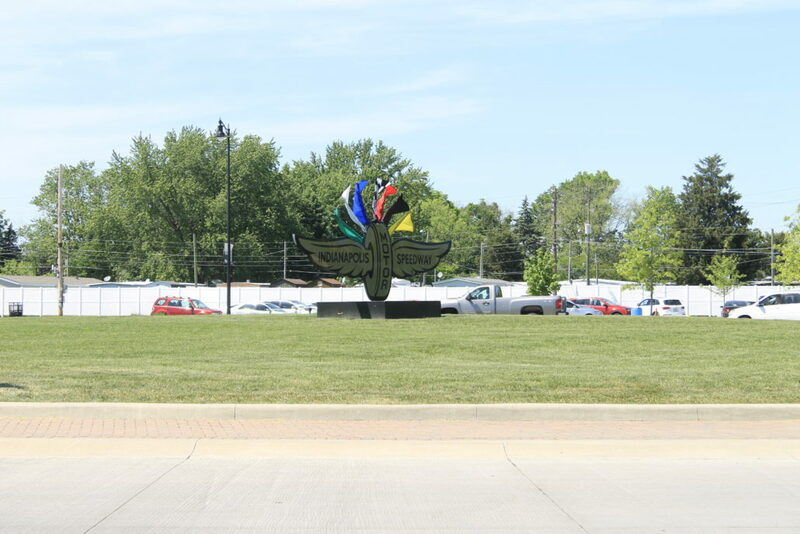 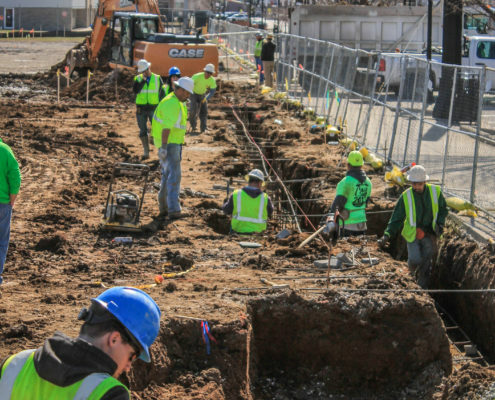 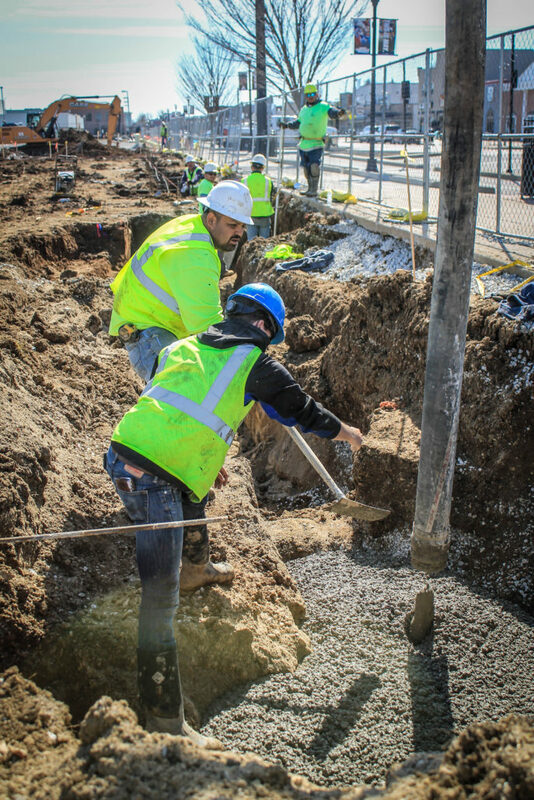 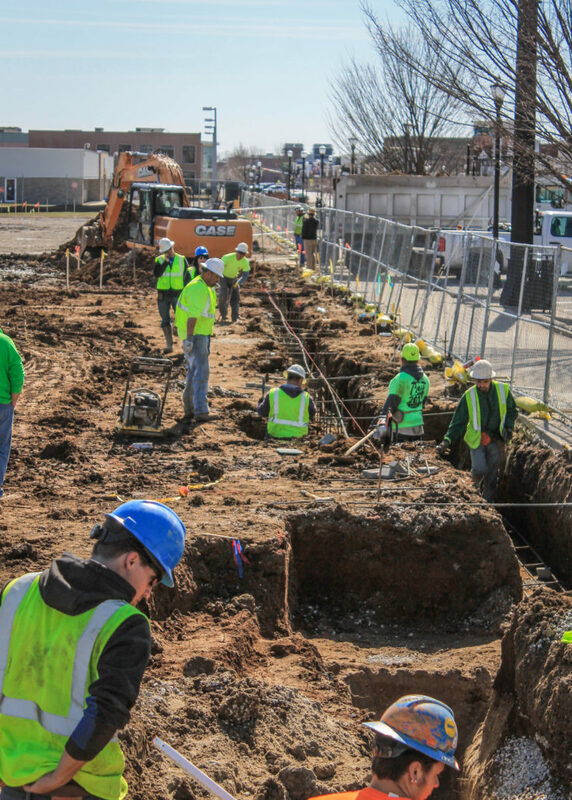 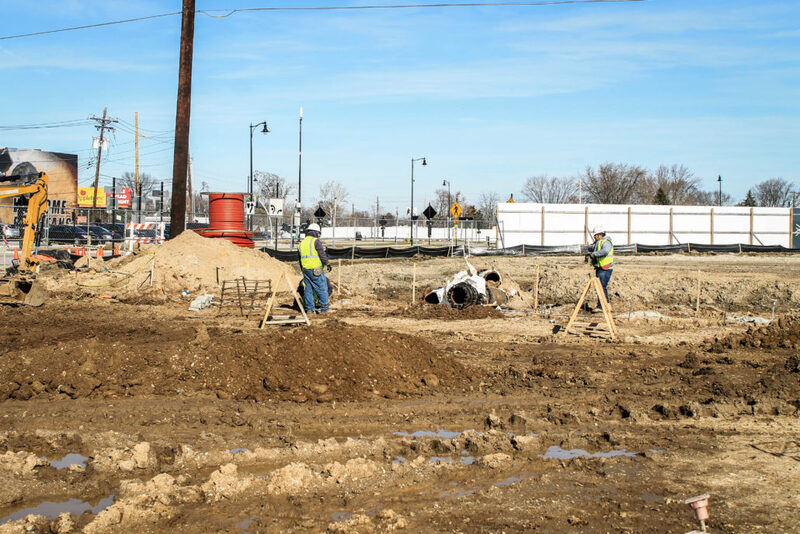 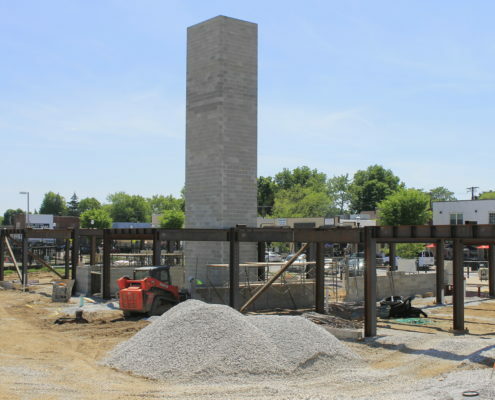 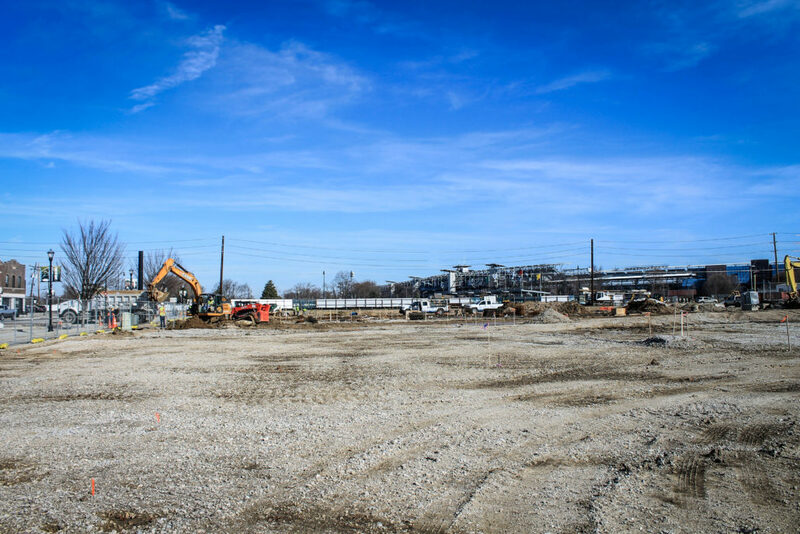 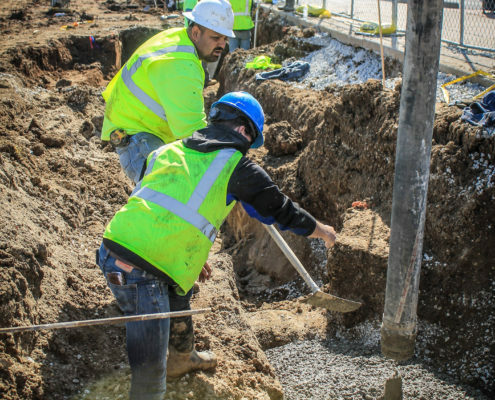 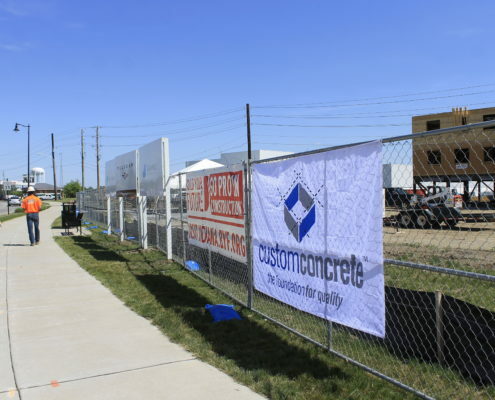 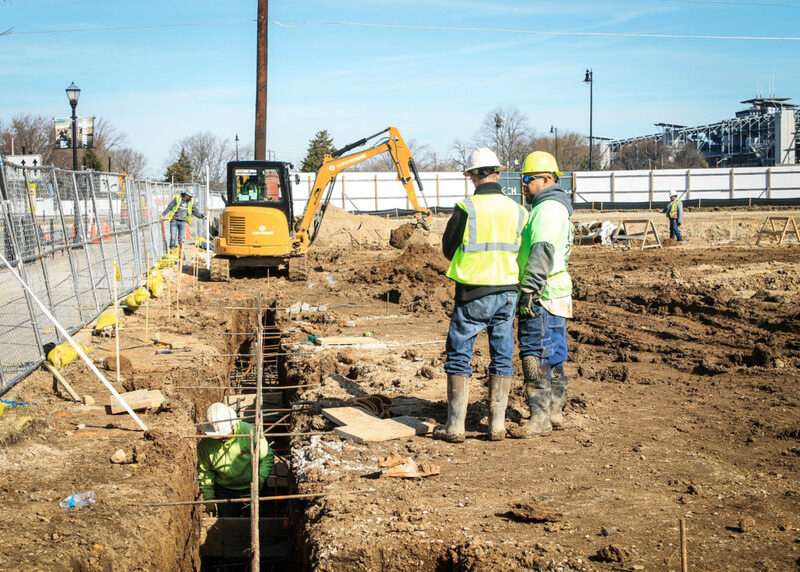 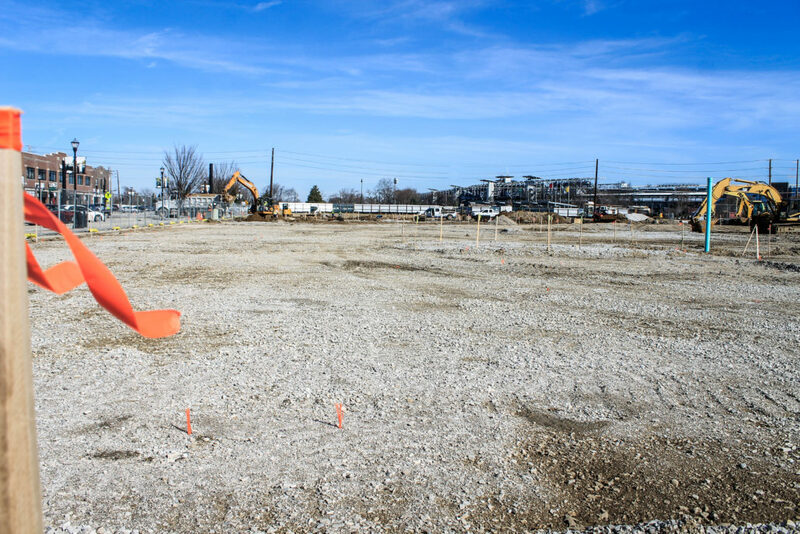 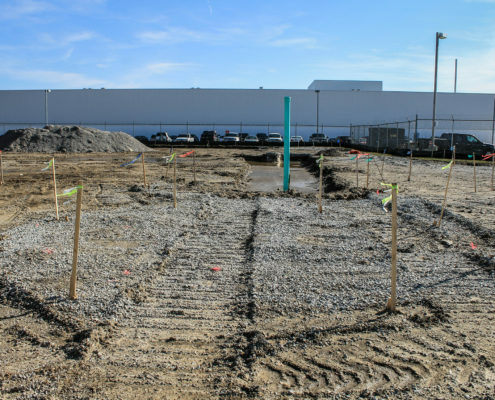 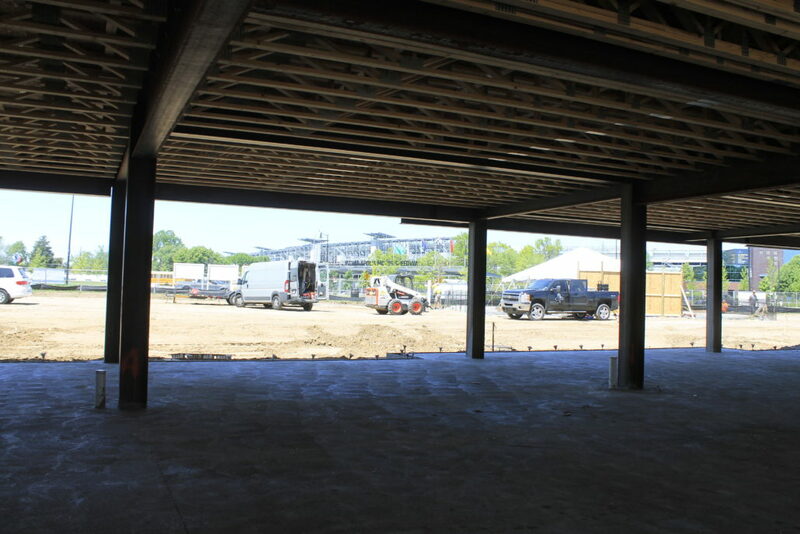 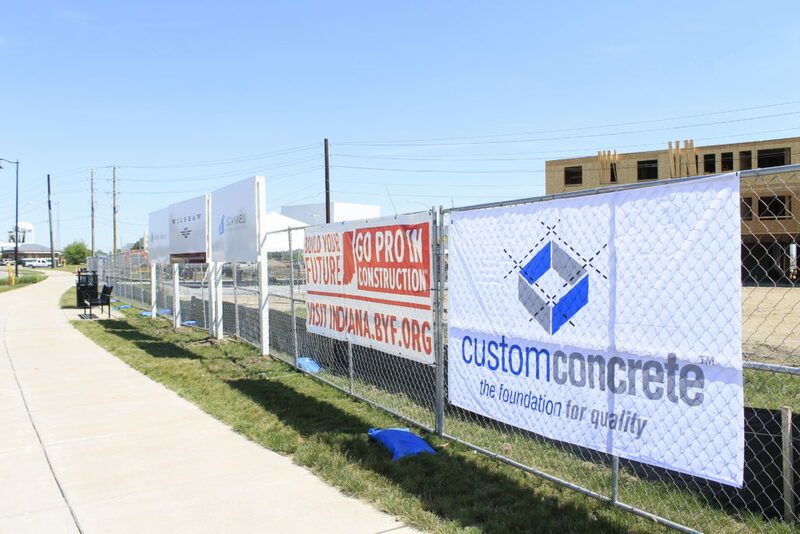 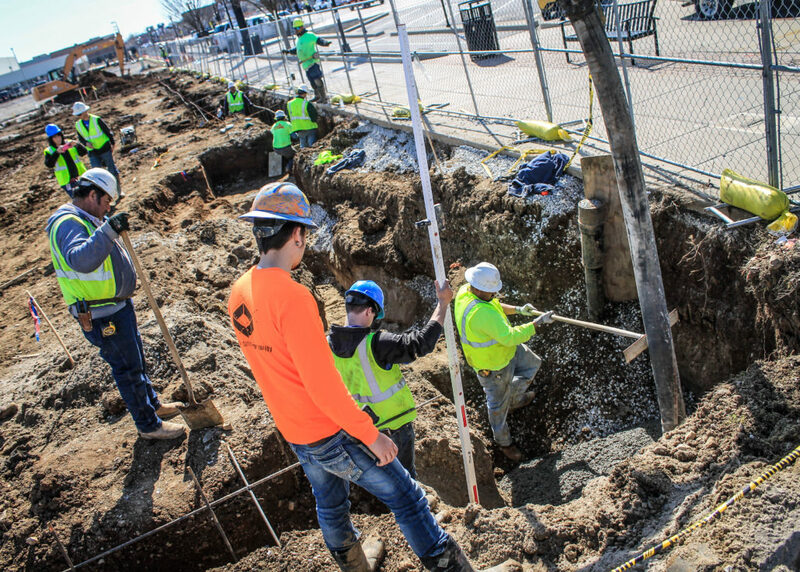 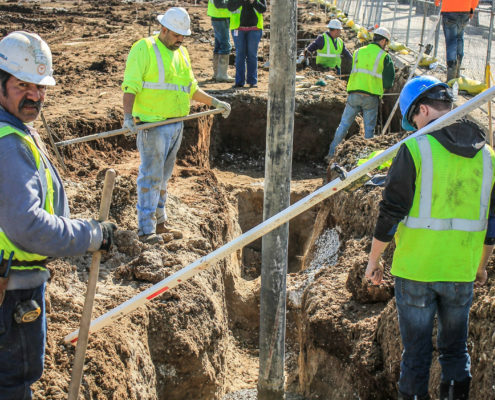 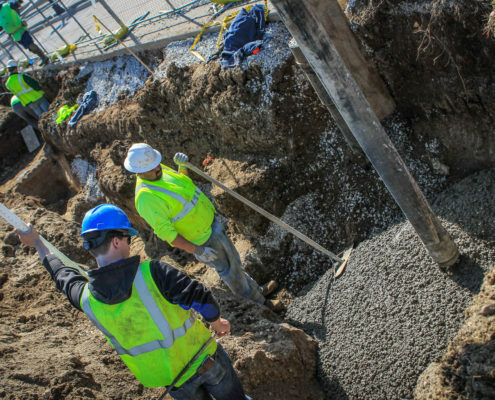 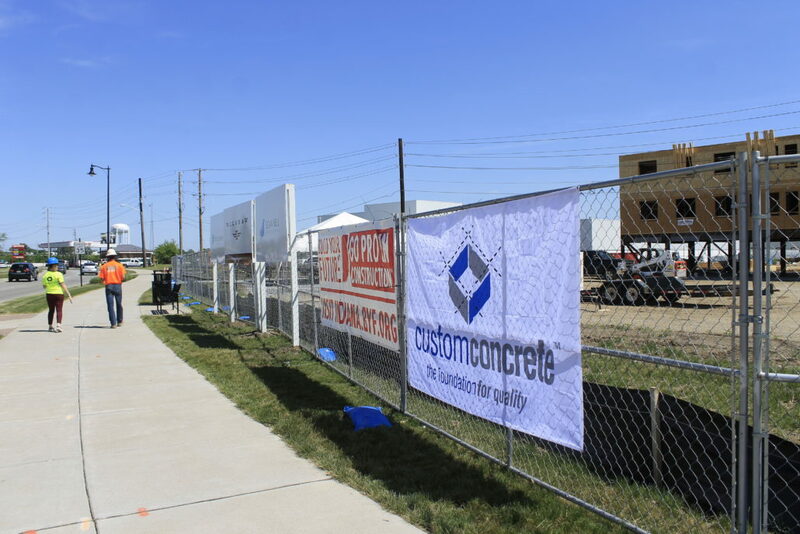 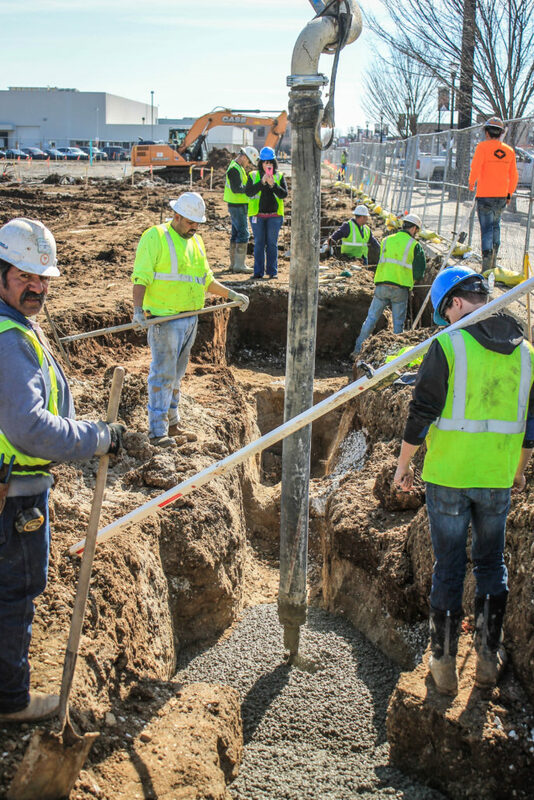 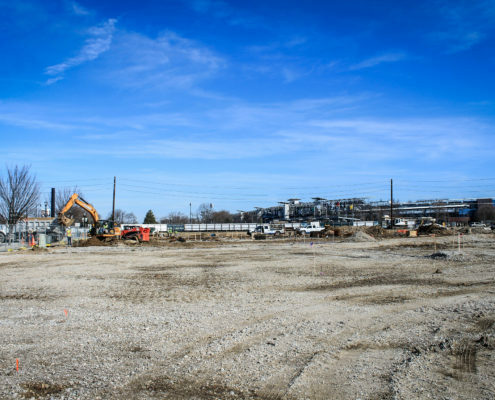 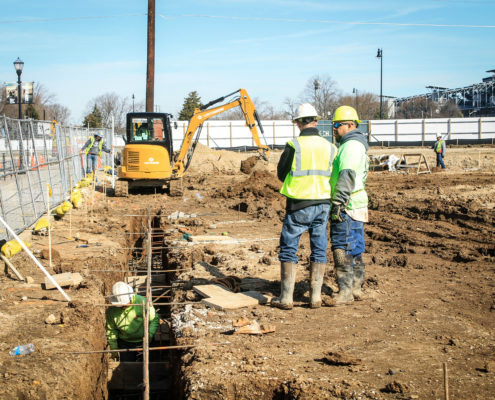 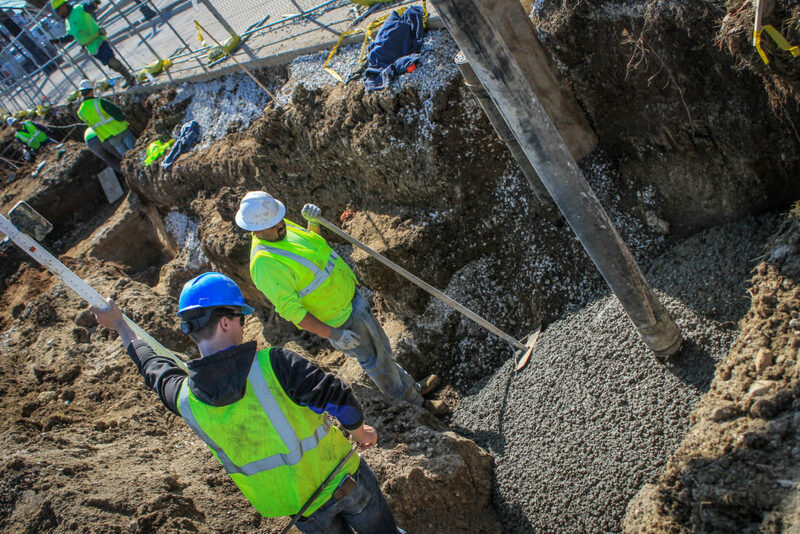 And while the rest of the world looked to Indiana for the 102nd running of the Indianapolis 500, Custom Concrete has been busy at work with a new project right across the street from the iconic raceway for 4 months. 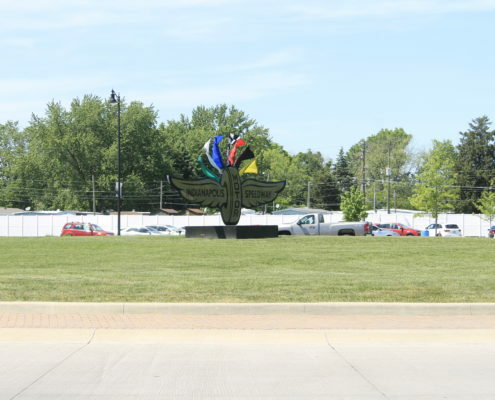 The town of Speedway, Indiana is experiencing new growth and with it comes new centers of commerce and places to live. 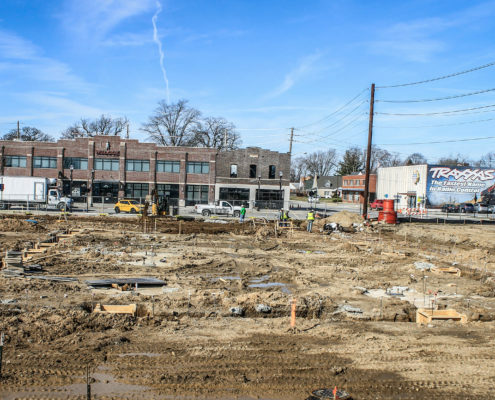 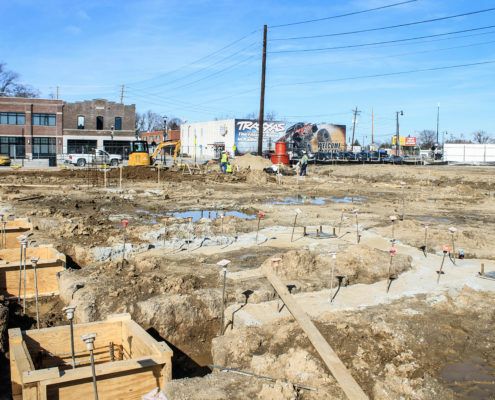 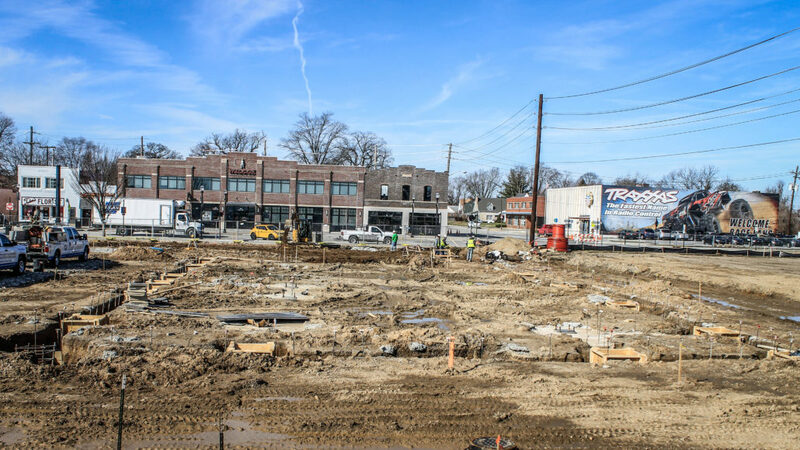 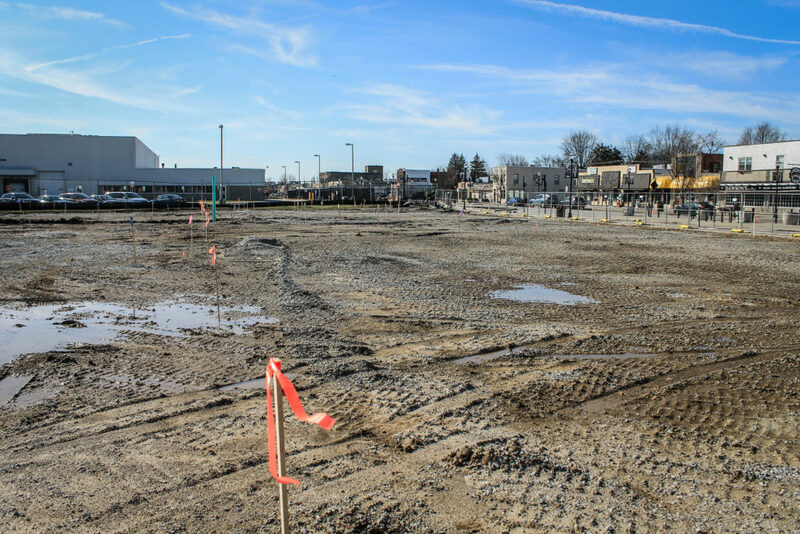 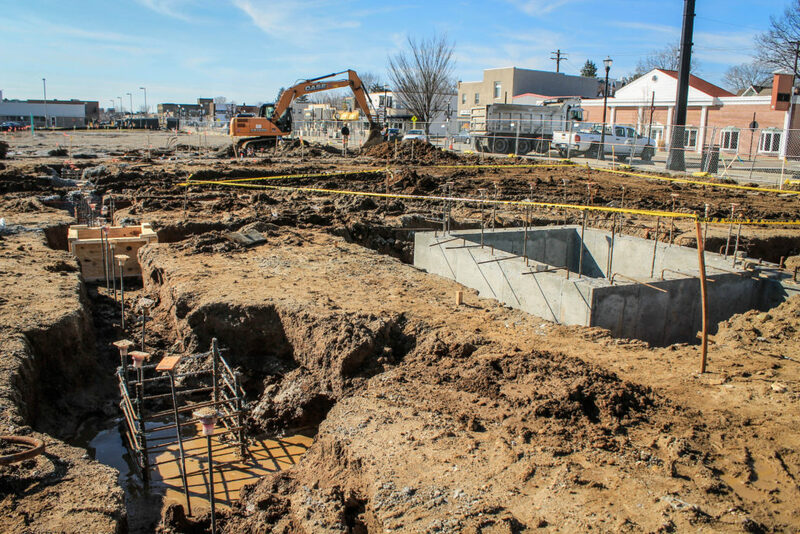 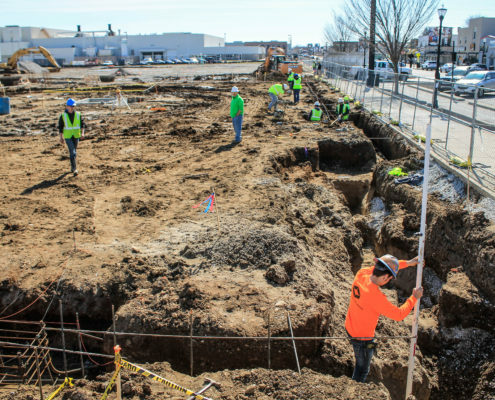 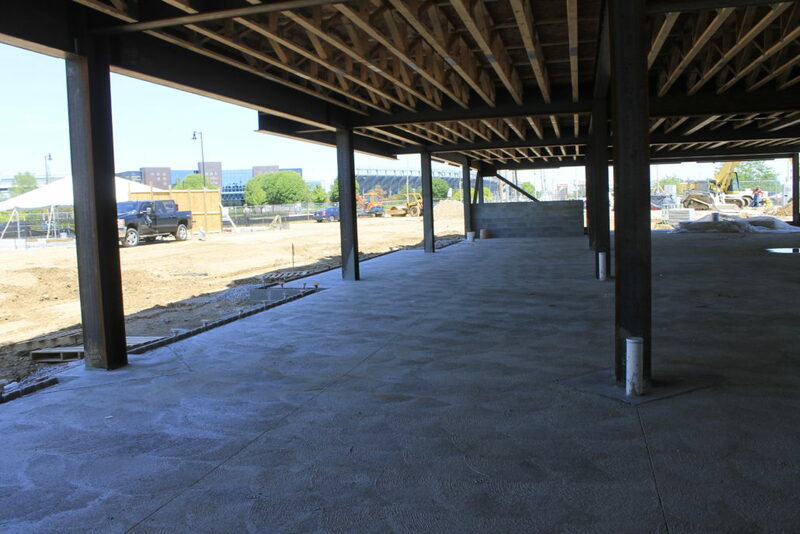 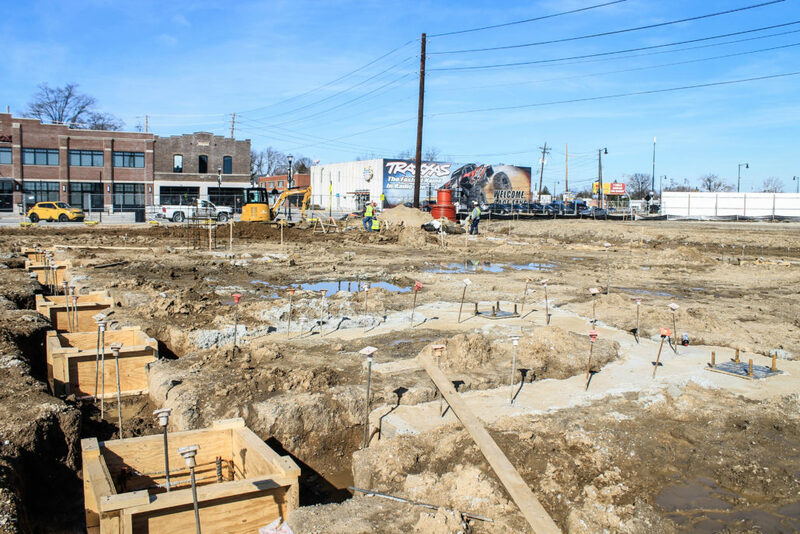 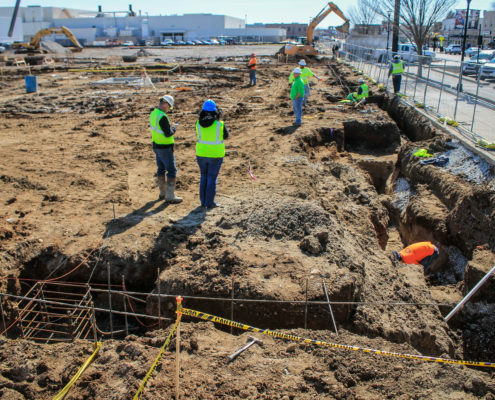 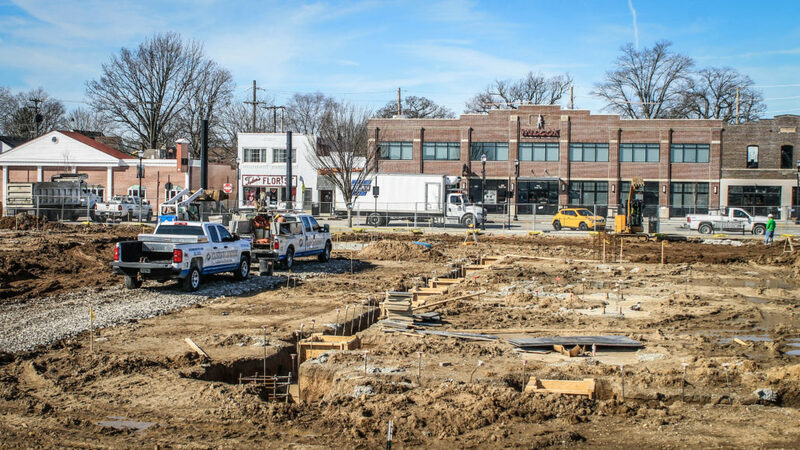 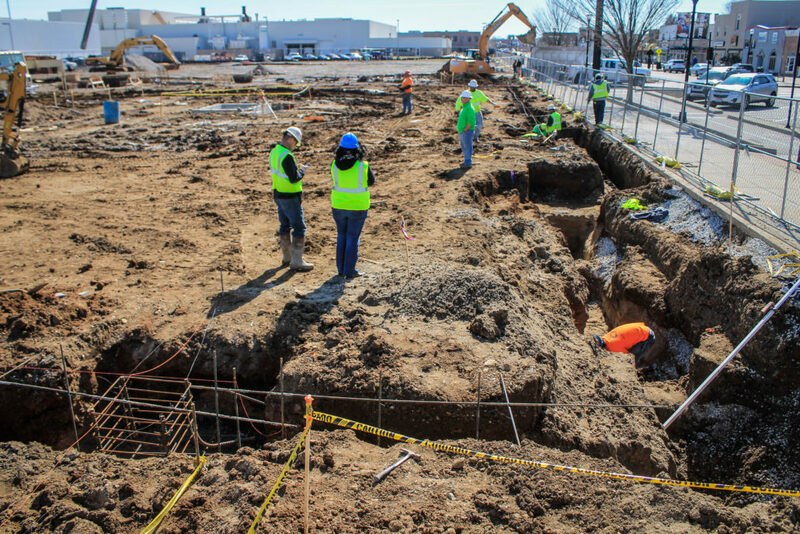 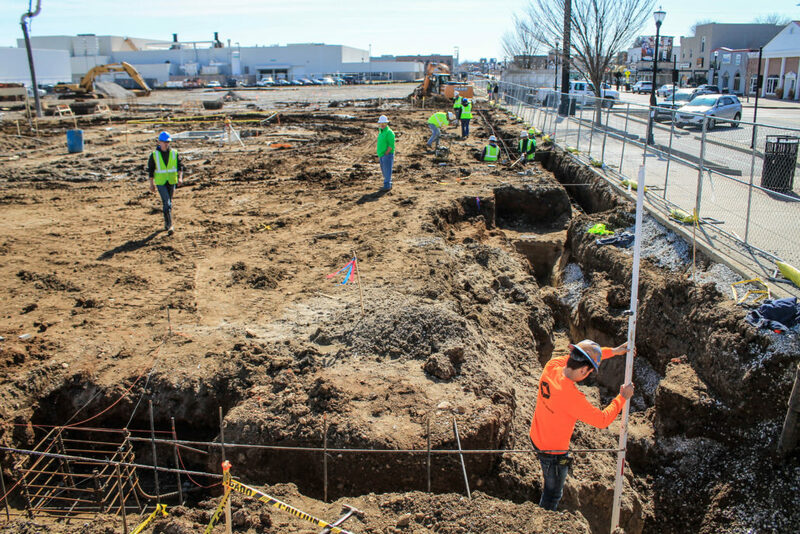 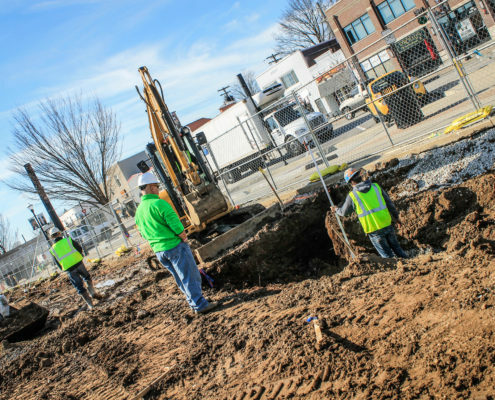 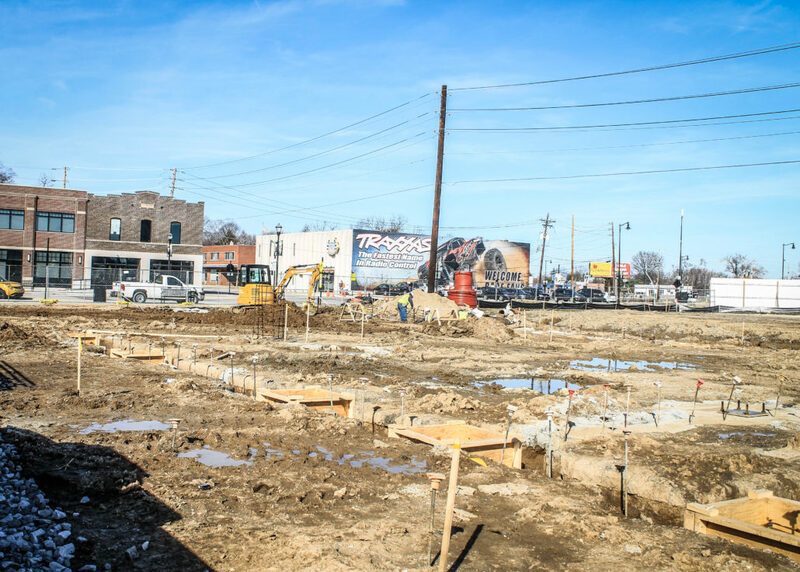 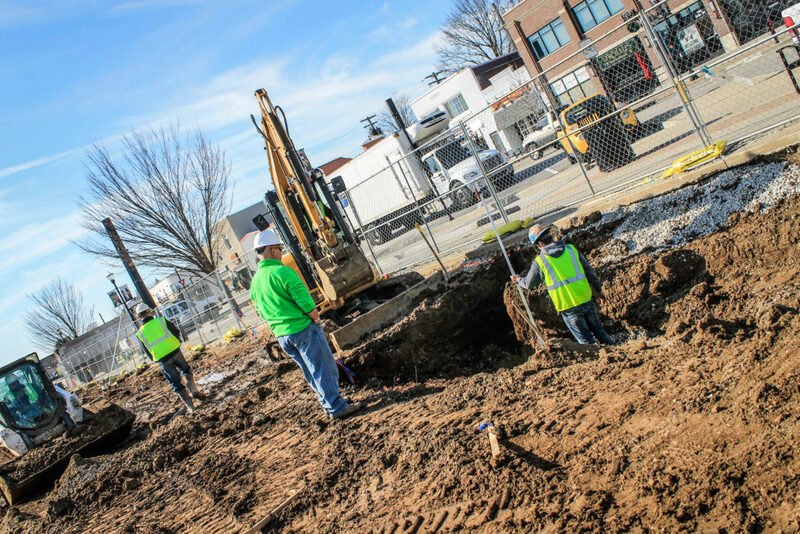 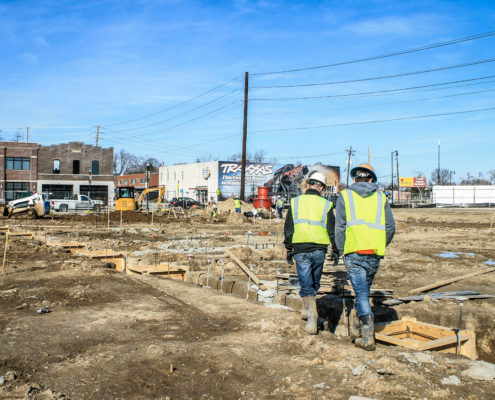 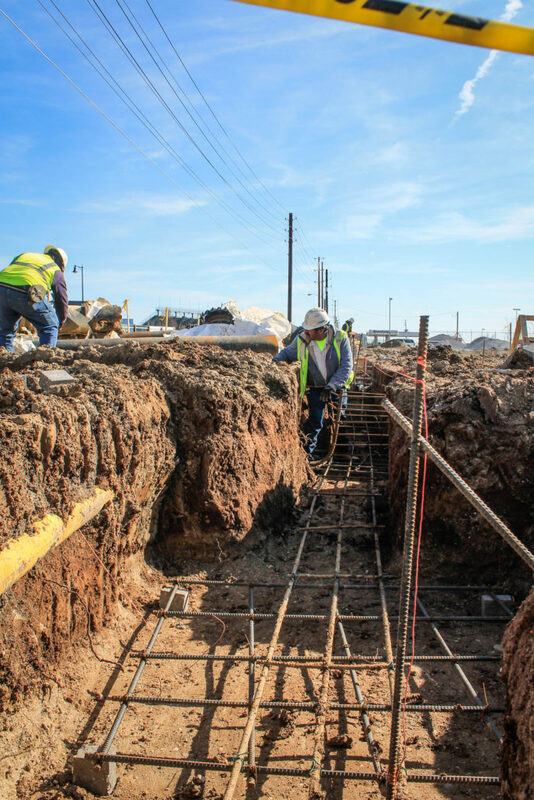 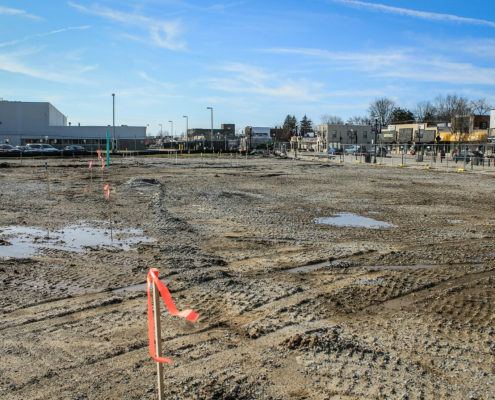 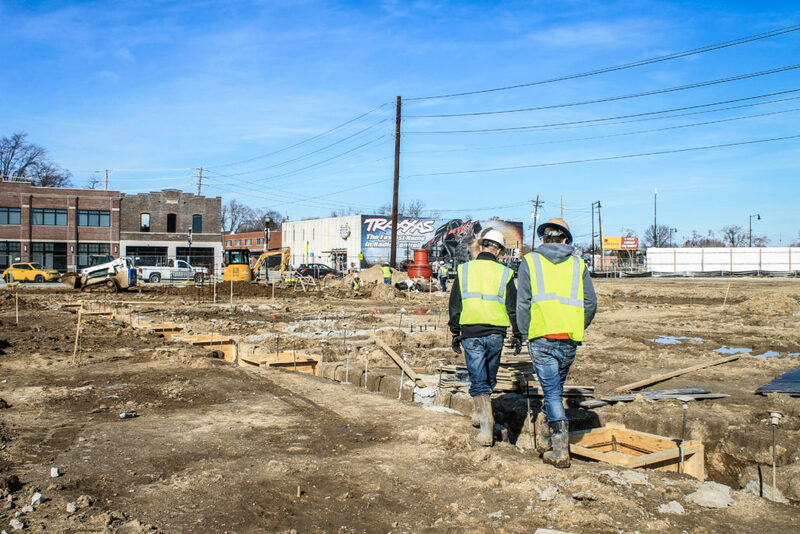 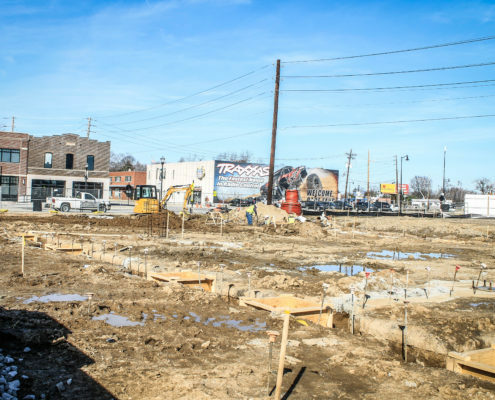 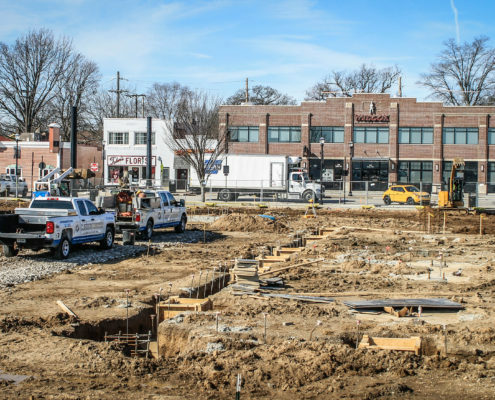 The project Custom Concrete is currently working on is for mixed-use development and will include parking, apartments, and retail storefronts. 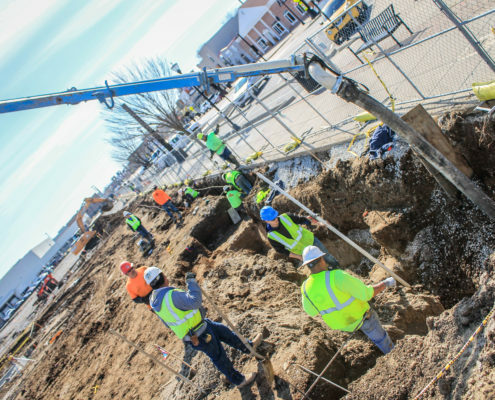 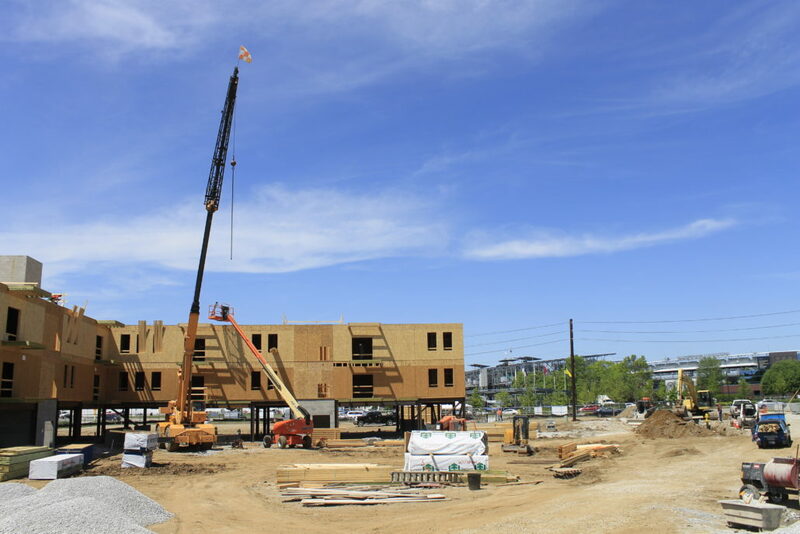 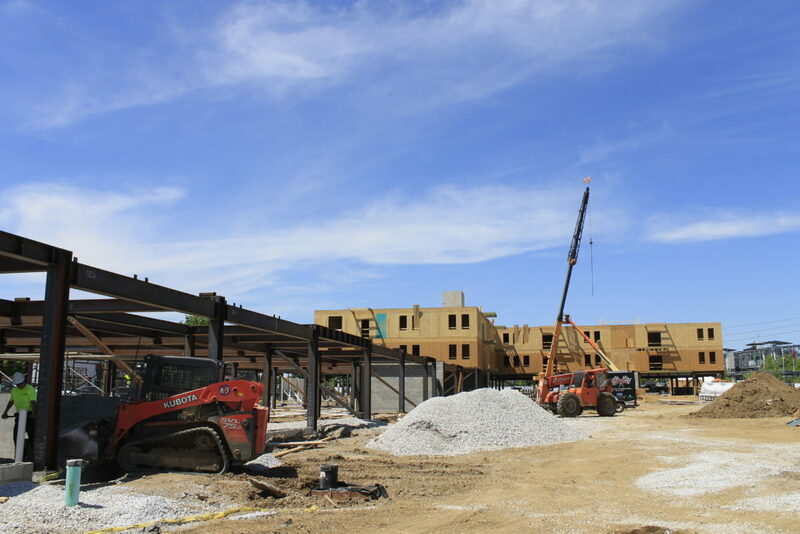 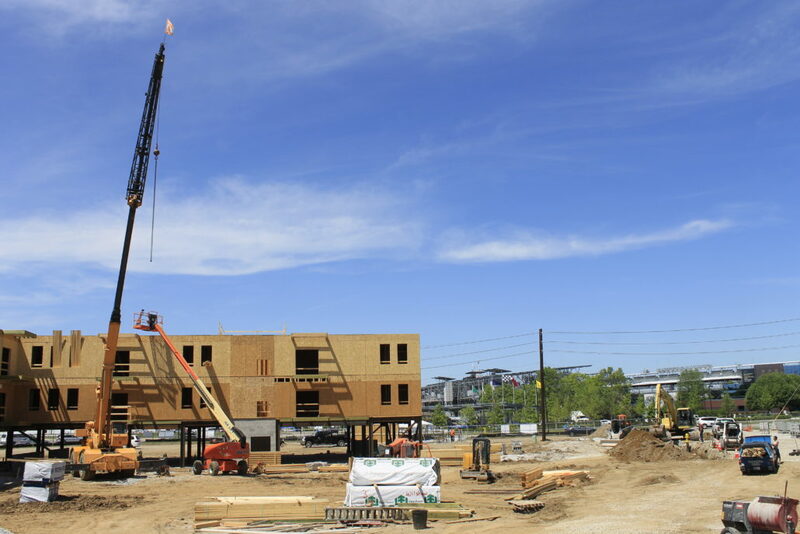 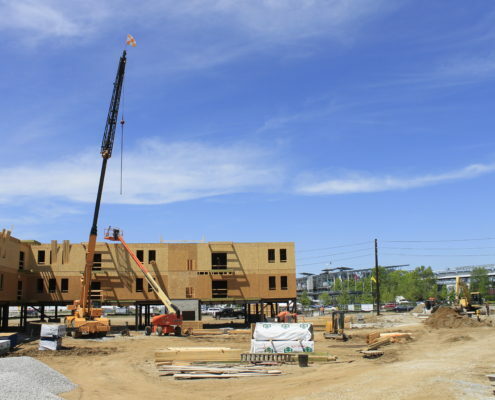 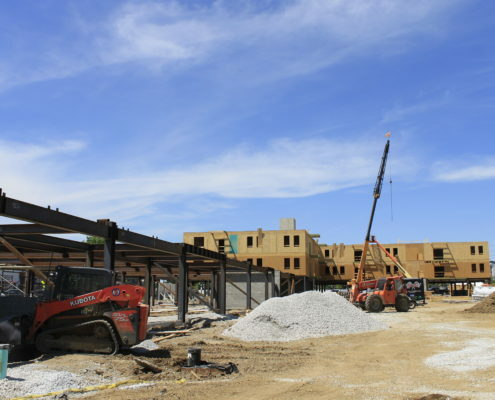 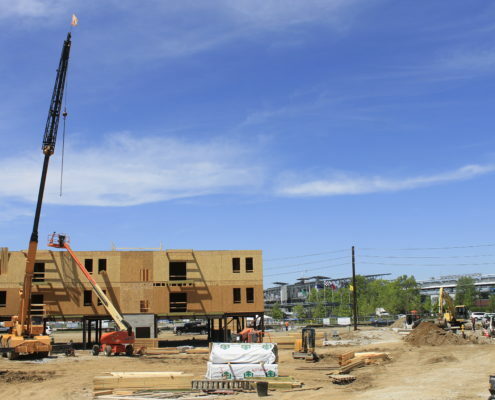 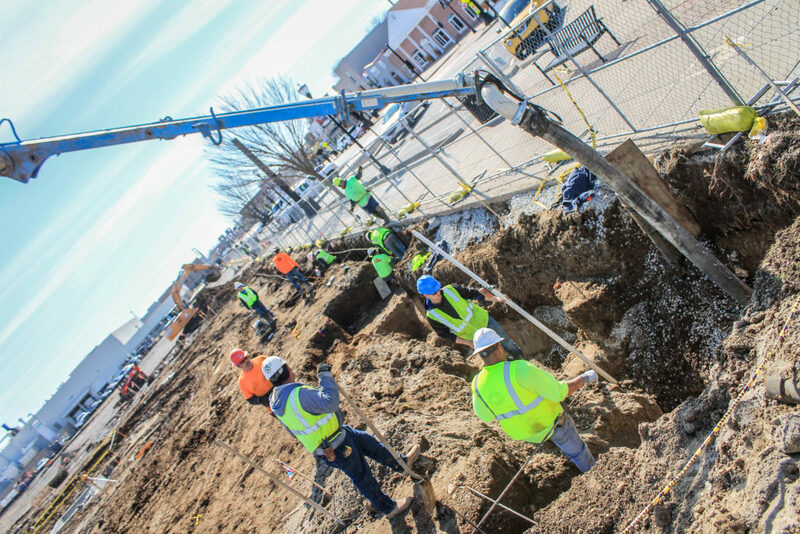 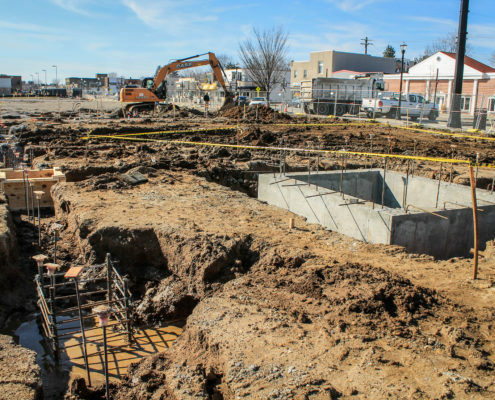 It’s the first multi-family project the town has seen in 20 years! 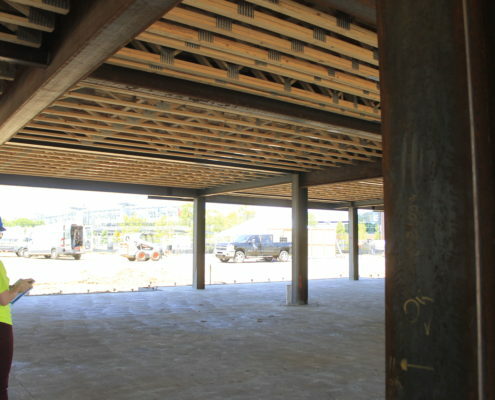 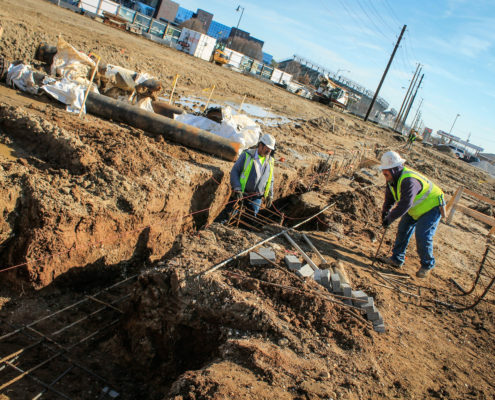 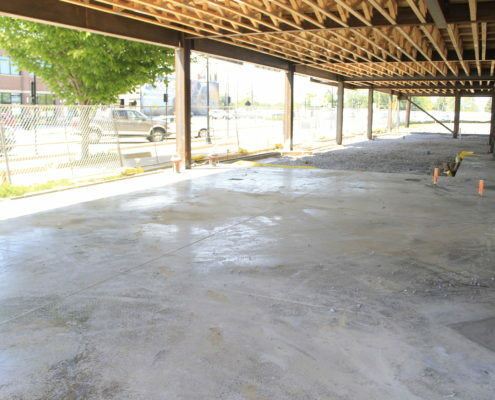 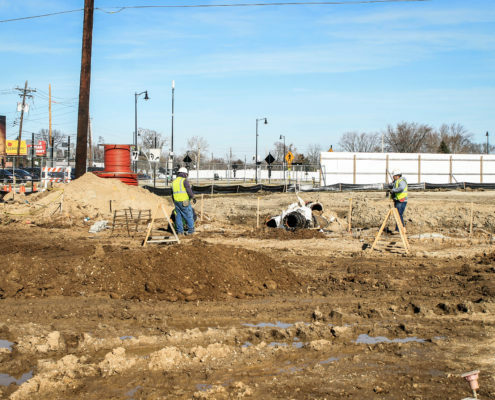 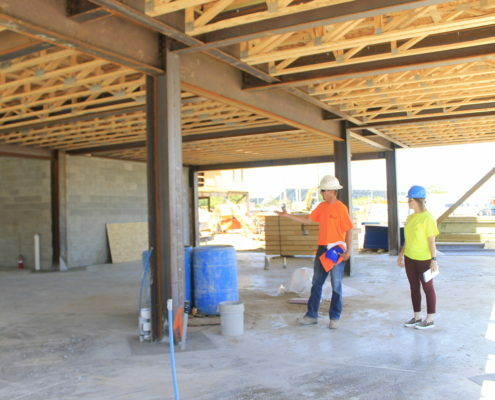 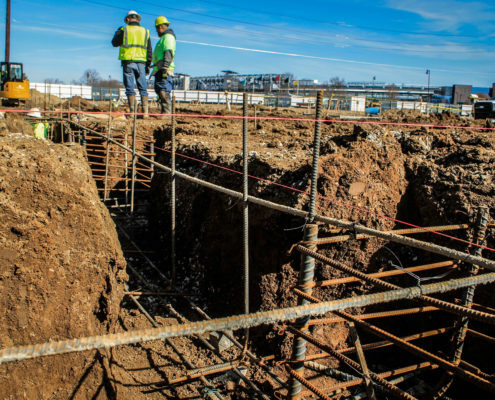 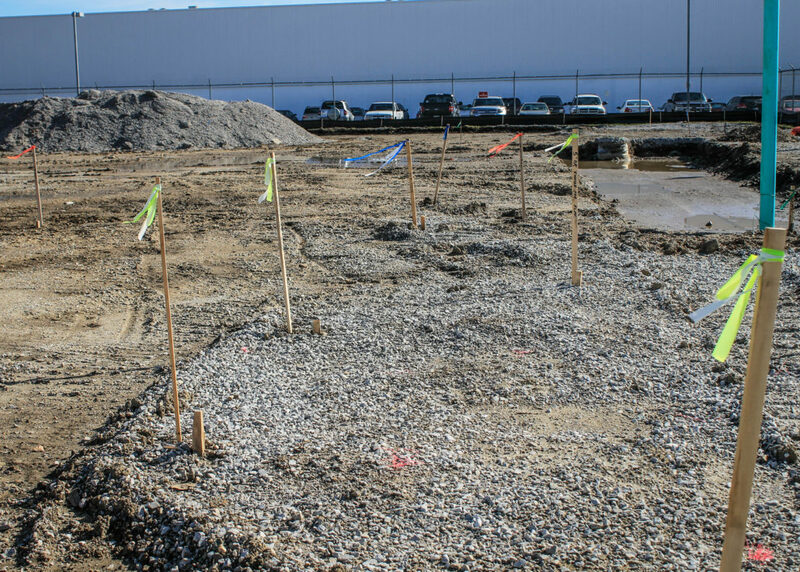 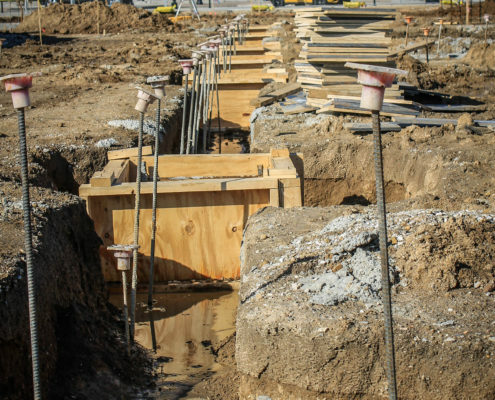 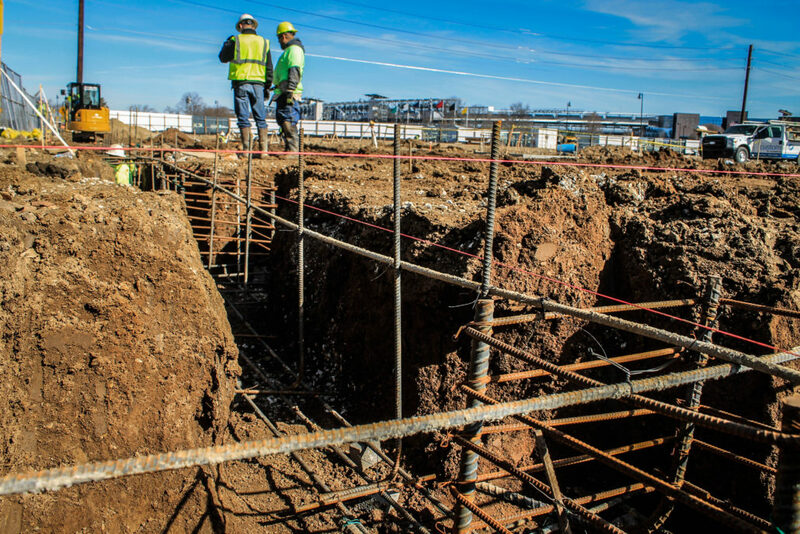 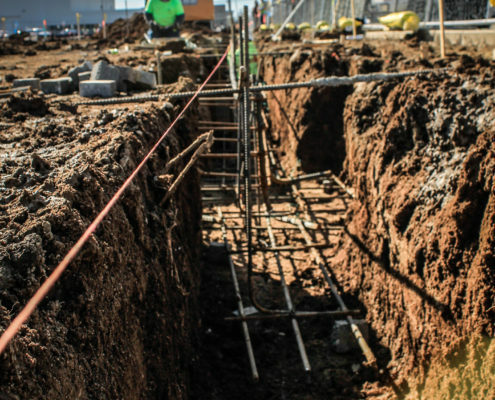 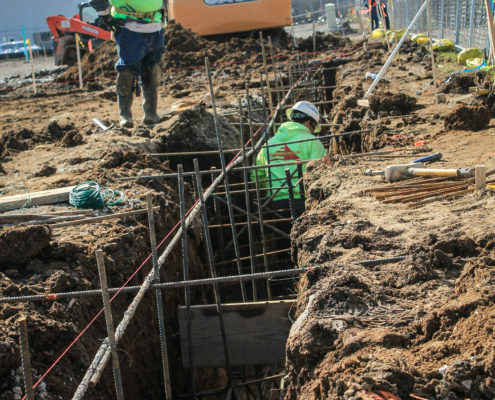 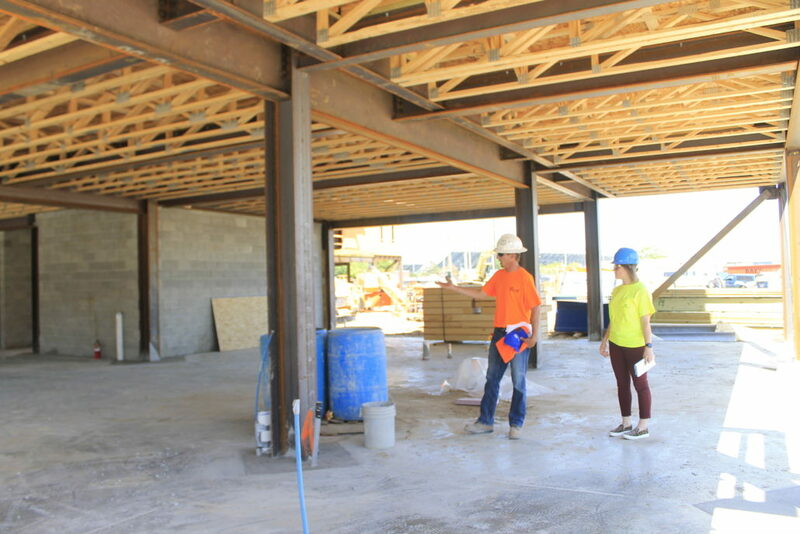 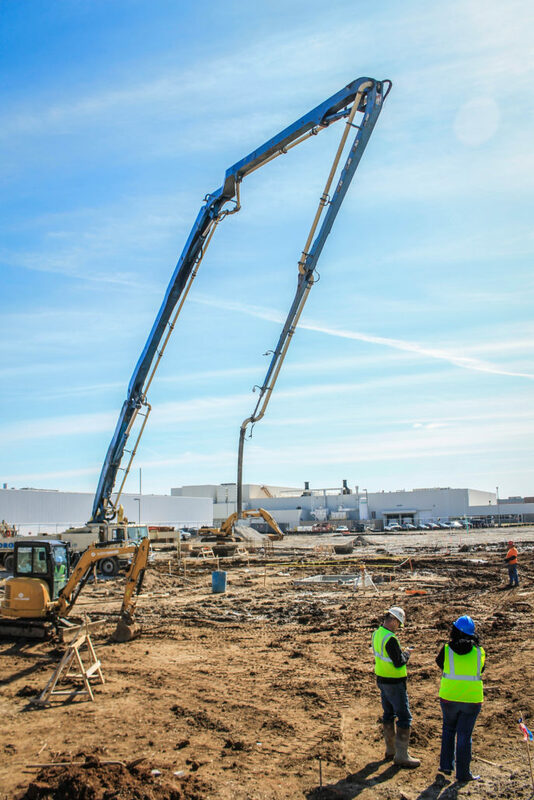 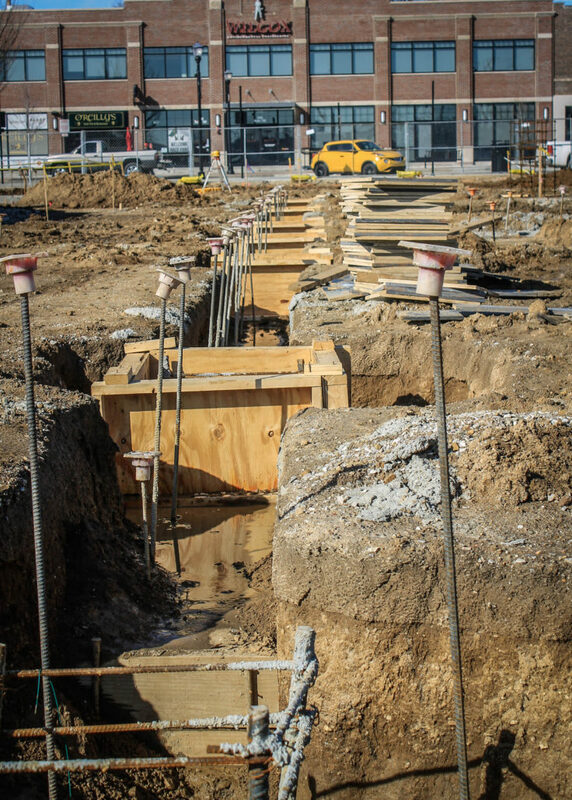 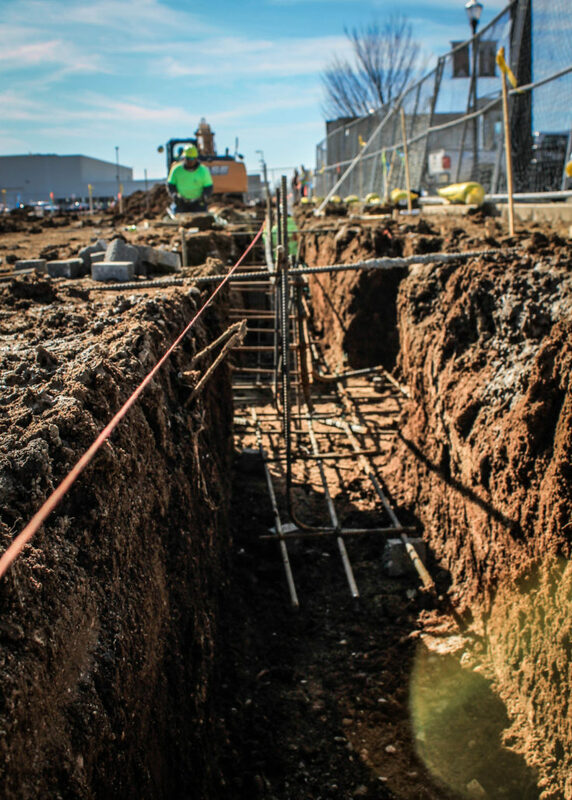 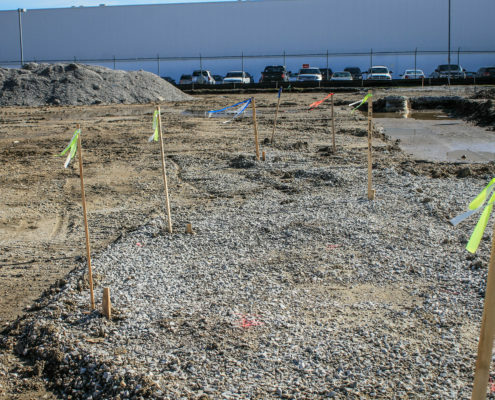 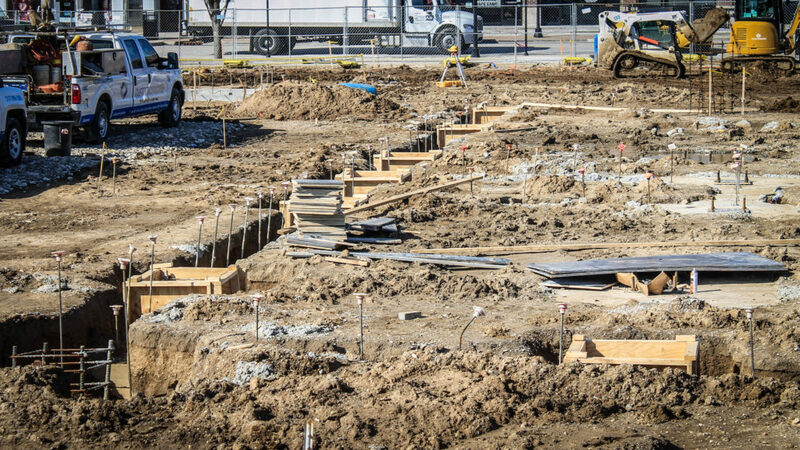 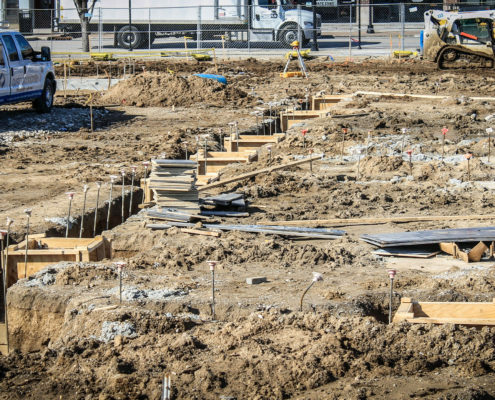 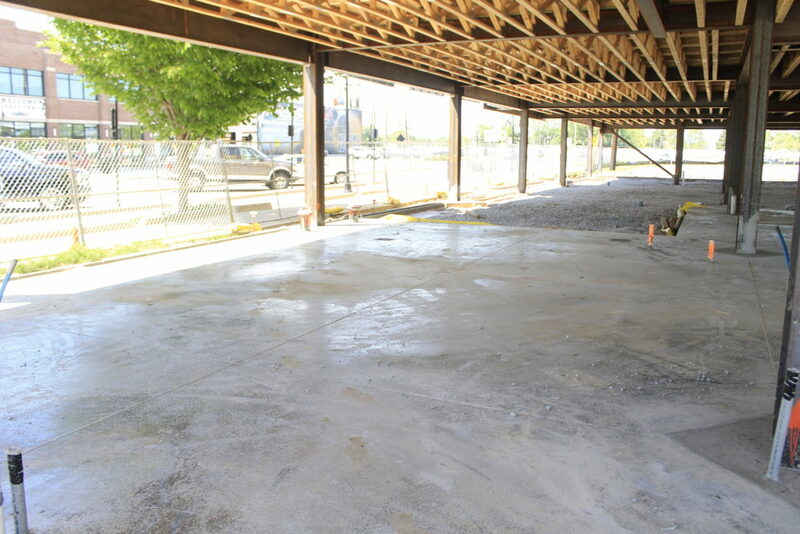 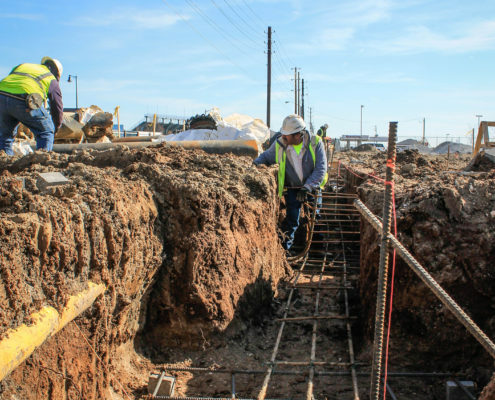 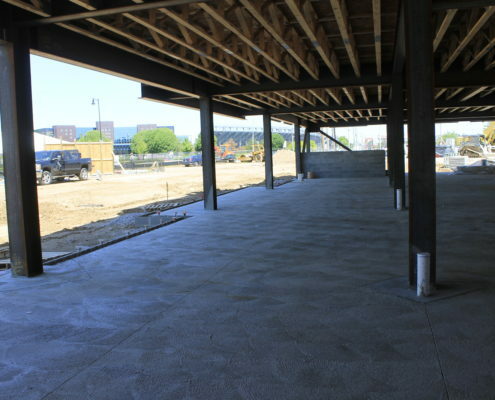 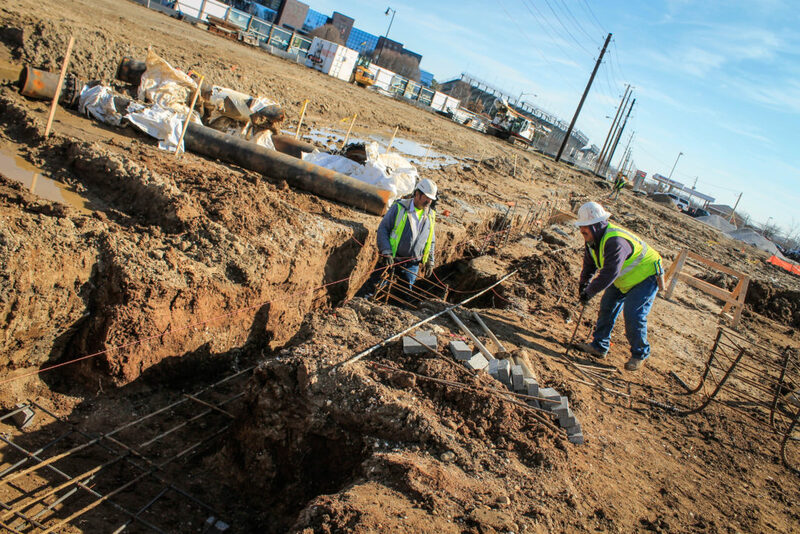 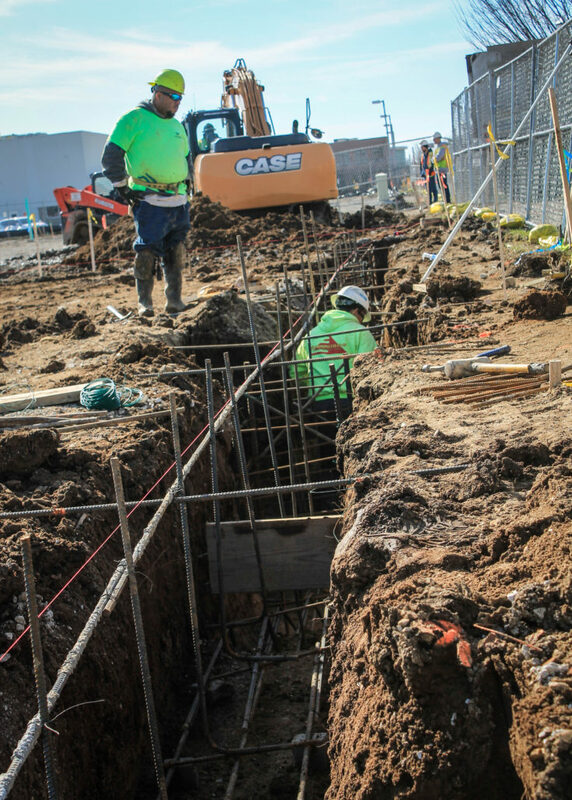 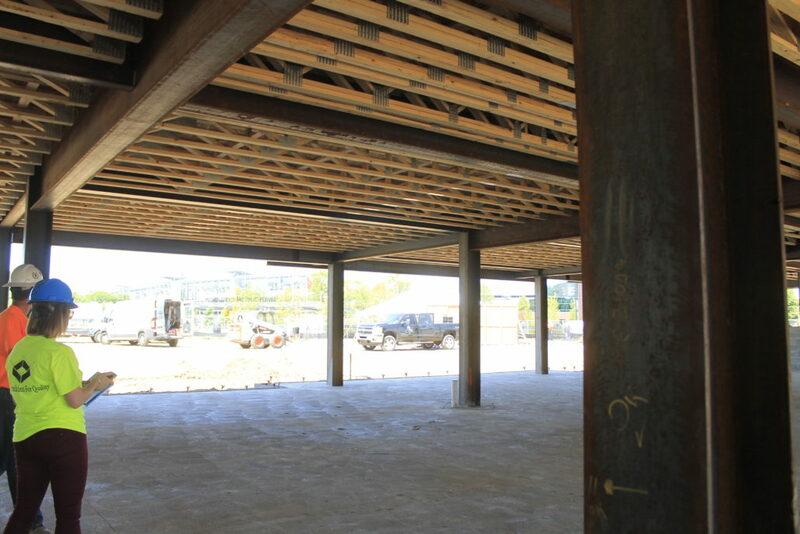 For the new development, Custom Concrete is responsible for the foundation, slab, and sidewalks. 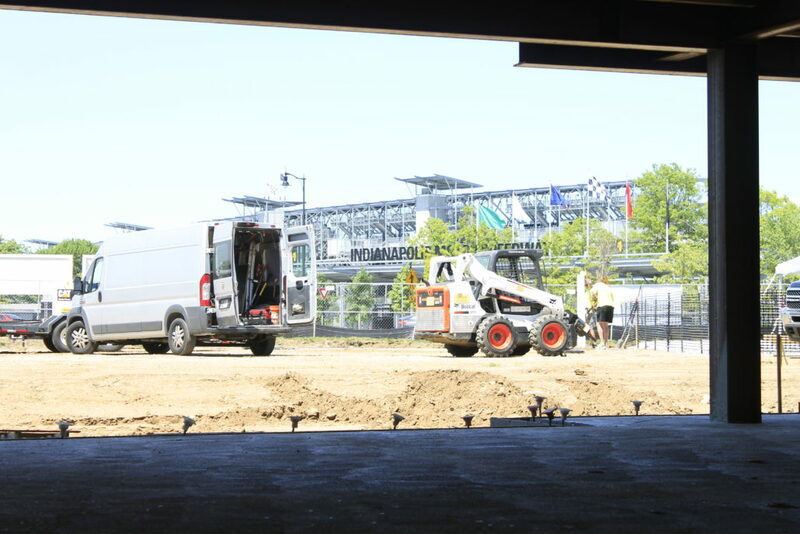 And while work slowed down over race weekend, our crew is now back on site to keep the job running on time. 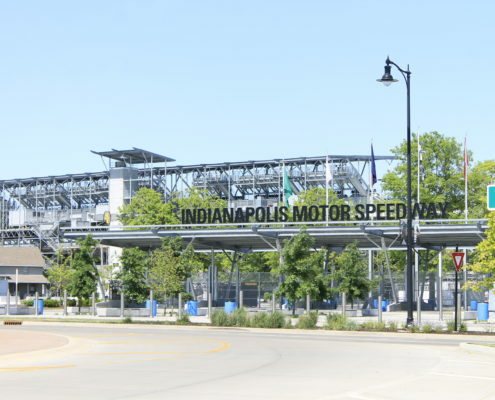 Project completion is anticipated in late 2018/early 2019, with plenty of time to spare for the 103rd running of the Indianapolis 500! 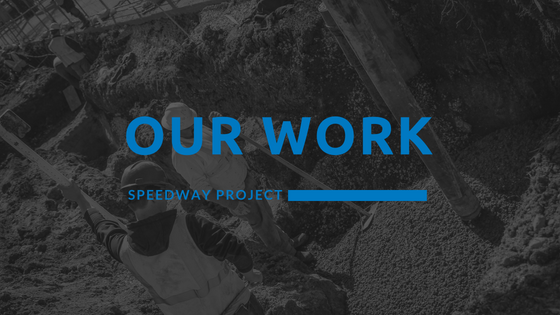 Working on the Speedway job site are two remarkable individuals: James Morley , Project Superintendent with CRG Residential, and Otis Hensler, one of our supervisors in the Multifamily Division. 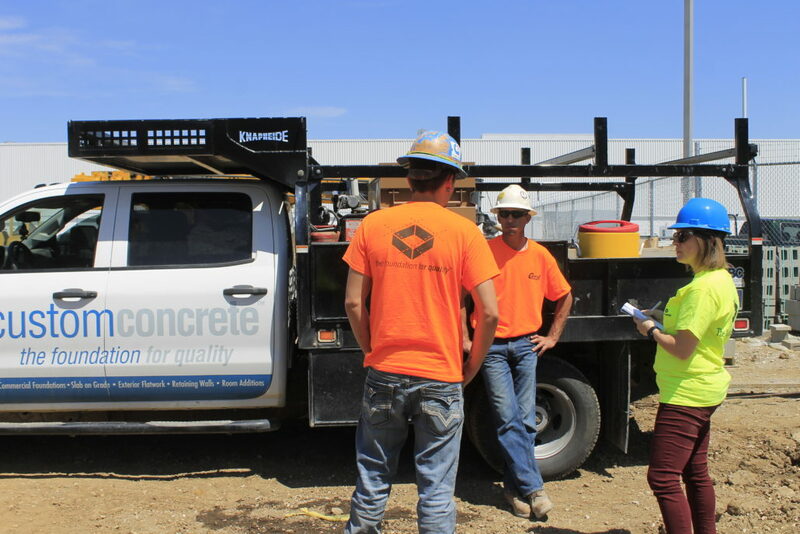 Otis started at Custom Concrete three years ago with zero concrete experience. 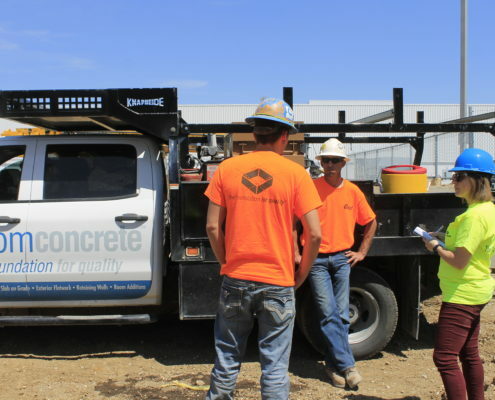 Not a stranger to manual labor, his previous work experience was with a trucking company, where he spent the majority of his time in the warehouse loading semi-trucks. 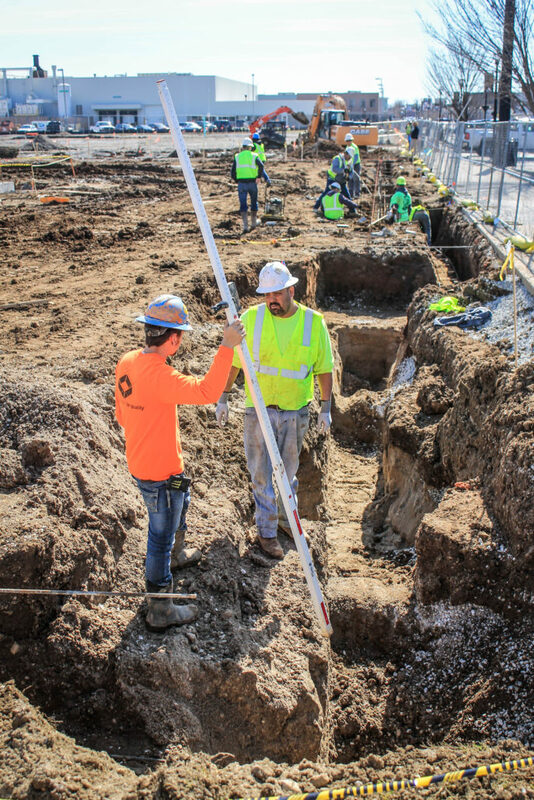 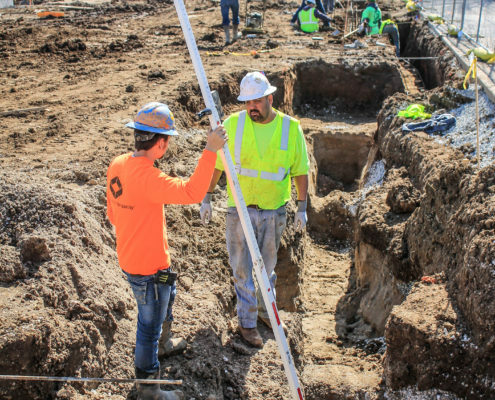 Now his spends his days managing crews and working with project superintendents to stay on time and on budget. 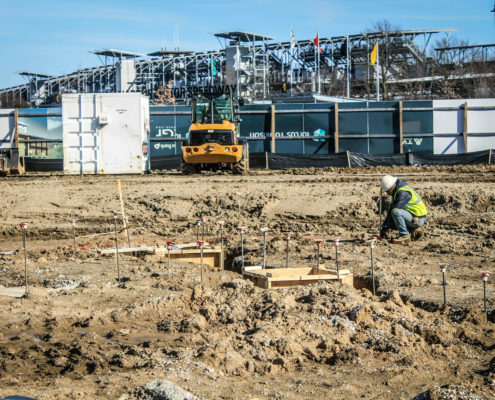 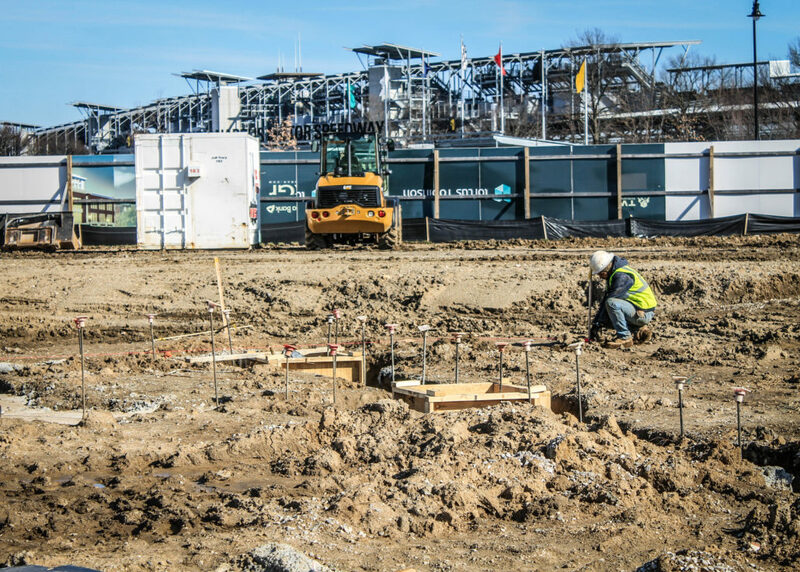 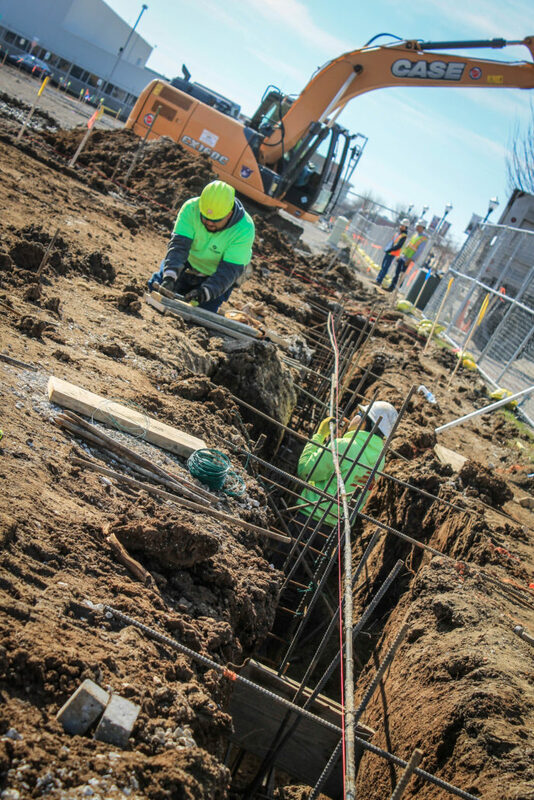 To keep an eye on our progress at the Speedway jobsite, follow us on Facebook or Instagram.